2015 '65' reg with 7500 miles Pearl White with Belugar Leather, Contrast Linen Stitching, Mulliner Driving Specification, Sports Exhaust, Contrast Stitch to Steering Wheel, V8 S Logo and Bentley Emblems to Head Rests, Acoustic Side Glazing, Acoustic Windscreen, Active Rear Spoiler, Dynamic Headlights, Black Package Exterior, Deep Pile Carpets, Diamond Quilted Leather Interior, 21" Diamond Cut 7 Spoke Alloy Wheels, Red Brake Calipers, Black Matrix Style Grilles, 14 Way Electric Memory Massage Heated and Cooled Seats, Piano Black Interior Veneers, Navigation with TV Tuner, Reversing Camera. Bentley Tracking System, Bluetooth Phone Prep, Keyless Entry. 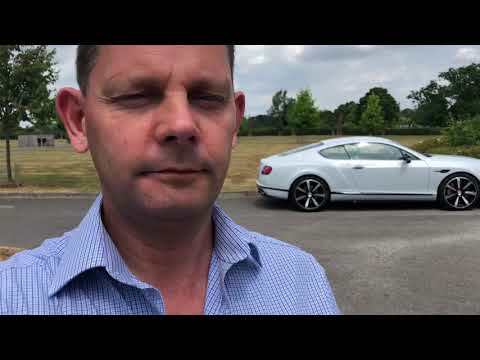 Bentley Warranty April 2019 Fantastic condition and Full Bentley Main Dealer Service History. Every retail vehicle we sell is put through a Main Agent prior to handover for a Used Approved Car Check or service, and is handed over with a clean bill of health. This gives you, the potential buyer comfort in knowing that we take our preparation very seriously. Some websites such as Car Gurus copy adverts from our site and remove all of our contact details. In this case please visit our website www.clinkardcars.co.uk for full specification and pictures, or call us on 01794 323330. Thank you.